We could haggle over whether or not it was a down year for television and you could make a decent case that it was a down year for movies, but one entertainment genre that blossomed in 2016 was podcasting. Per Edison Research, 21 percent of Americans 12 or older say they have listened to a podcast in the last month, which is up from 12 percent in 2013. It rises to 36 percent when you ask them if they’ve ever listened to a podcast, which is double the number in 2008. It’s still early days yet, but the medium, itself a reinvented form of radio listing and radio play entertainment, continues to grow and mature. With that maturity comes new podcast creators, larger companies, and fresh concepts in an already over-crowded landscape. Here are 10 podcasts that debuted in 2016 and rose above the noise to become must-subscribe listens. If you’ve got a “podcast guy” or “podcast girl” in your life who always seems to be listening to or talking about podcasts, chances are they’re touting Crimetown right now. The new series from Gimlet Media has a stated objective of spending every season deep-diving into the culture of crime in a different American city. For their inaugural season, they’ve chosen Providence, Rhode Island, once home to one of the most powerful organized crime families in the country. Not only does the series mark the rise (and presumably the fall) of the Patriarca Family but also the intertwined story of Mayor Buddy Cianci, who served a mayor of the city for over 21 years despite often being as corrupt as the criminals he swore to defeat. What’s especially great about the show is the way it tells little stories as well as big ones. Each episode tells a piece of the bigger story but has its own themes and meanings. In 2015, Panoply and GE Podcast Theater co-produced a science fiction audio drama called The Message, about a strange sound from outer space with potentially-catastrophic effects. It was and still is one of the tightest and best audio dramas released and they happily brought back show creator and playwright Mac Rogers for another go. 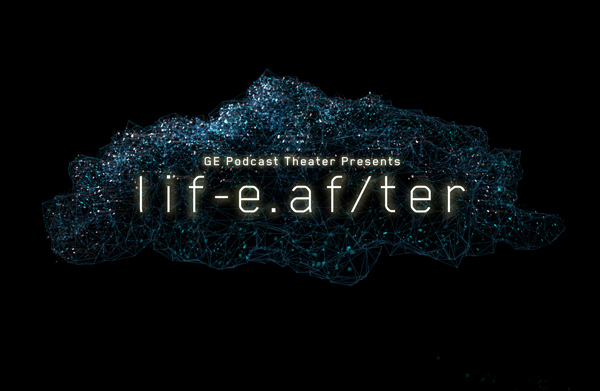 This audio drama, which exists in the same universe as The Message, but is (so far) a different story, revolves around a social media application from the near future that allows people to leave voice messages online the way we tweet or post a Facebook status. The show delves into issues like grief, moving on, and the risks we’ll take to hold on to nostalgia and what’s lost. There’s a few familiar voices but unlike other recent big budget audio dramas it doesn’t rely on cast recognition, it just tells a really gripping story you want to keep coming back to. 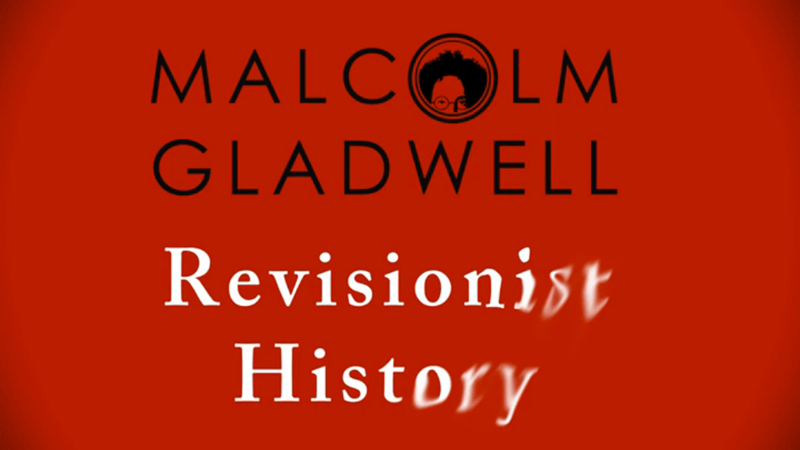 This new podcast from author Malcolm Gladwell (The Tipping Point) has a stated mission to take a moment in history or a situation and try to show the truth hiding behind our understanding. In the first season, topics ranged from why Wilt Chamberlain continued to shoot terrible free throws even though he knew how to shoot them better, what happened after an unknown female artist took England by storm with her painting but then never found success again, and why people give money to universities like Harvard when they should be giving money to small colleges. These are stories you might think you know, or think you understand, but then Gladwell digs to find the reality underneath. He does tend to get a little preachy over some topics, but that doesn’t make the information any less valid. A lot of criminal detective podcasts have tried and failed to be the next Serial, but In The Dark might have come the closest. The abduction of Jacob Wetterling 27 years ago already made for a fascinating listen but when the man responsible finally admitted what happened just as the podcast was launching, it helped refocus the entire investigation on lingering questions behind why it took police so long to solve a case that was right under their nose. APM Reports and reporter Madeleine Baran do a great job breaking down the details, though some episodes can be harrowing and painful to listen to. It’s ultimately about a terrible crime and the terrible way that the people who were supposed to solve it went about it. “A podcast about journeying back to the moment when everything went wrong.” Each episode of Heavyweight deals with one person and a situation that they’ve either come to regret or can’t let go of and then takes them on a journey to find some semblance of closure. If you’ve ever lost touch with someone or wondered what happened to a person you knew fleetingly, this is the podcast that attempts to put you back in touch in order to heal whatever wounds might exist. Host Jonathan Goldstein holds the entire process together through sheer force of nebbish will. If Ira Glass and Larry David had a lovechild, it might be Goldstein, and that’s meant as a high compliment. Have you ever picked up a piece of paper you just so happened to see on the ground? Maybe it was a discarded shopping list. Maybe it was a note someone wrote to themselves. Maybe it was a love letter professing undying love to another. From the heartbreaking to the benign, the things we find while go about our day might seem inconsequential, but there was a time when every one of them had meaning to someone. Finding out what that meaning was and who the person behind the found item is the basis for the FOUND podcast. Where the episode goes depends largely on what the specific find is and how interesting the people from which the find originated are. This extremely-new podcast (four episodes) has already wormed it’s way into our heart mostly by ripping it out of our chest and then churning it up in a blender. Host Nora McInerny kicks off the point of the podcast by telling the story of how she lost husband and father and had a miscarriage all within months of one another and two years later she’s pregnant with another child with another man and how, exactly, she processes all of that information on a daily basis. McInerny has a keen sense of how to balance sadness and uncomfortable topics with moments of humor. The podcast follows that thread as she talks to other people who are dealing with unimaginable problems and how they get up every morning and go on. It’s not nearly as depressing as it sounds, though if you’re looking for a podcast to consistently make you cry, this’ll do it. It’s a simple premise that makes for the backbone of roughly 32 percent of all podcasts: Two hosts banter with one another as well as a guest about whatever they want. And yet, Phoebe Robinson (a well-respected comedian, writer, and actress) and Jessica Williams (former The Daily Show correspondent) have found a way to take that simple premise to the next level. The duo has an other-worldly chemistry, not to mention they’re hysterical and poignant. They make it a point of having on guests beyond another generic white male comics. NPR’s show hosted by Kelly McEvers does what the name implies. It takes a news story or interesting topic and it digs deeper than most to find out what’s going on underneath the surface. One reporter spends three months in Greenland trying to understand why that country has the highest suicide rate in the world. Another spends a week inside a Doctors Without Borders hospital in South Sudan to find out what really happens there. Or if you’ve ever wondered what it’s like to be a player in the D-League, they follow two players through the highs and lows of an entire season. The topics are varied, which keeps things interesting, and the stories are usually pretty amazing. The Supreme Court has always been a fascinating topic, but given the current state of politics and the new President, it’s become a battleground for America’s ideology. No wonder Radiolab spun-off an entire podcast about this one topic. Episodes cover specific cases that could shape the way U.S. law while also deep-diving into the justices that sit on the bench and all of the many factors and influences that go into their decisions.